Are you a pit bull advocate, rescuer, owner or lover? Do you want to change minds and save lives? 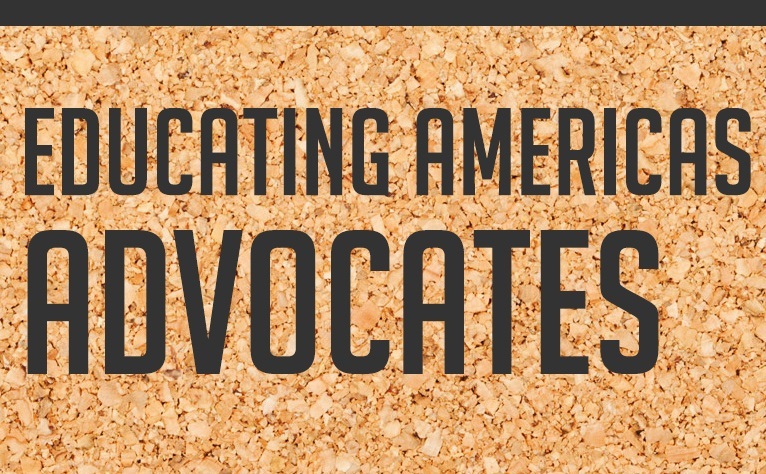 Are you already part of the solution but want to know how to be even more effective in your advocacy? The P Word can help you advocate more efficiently and effectively! 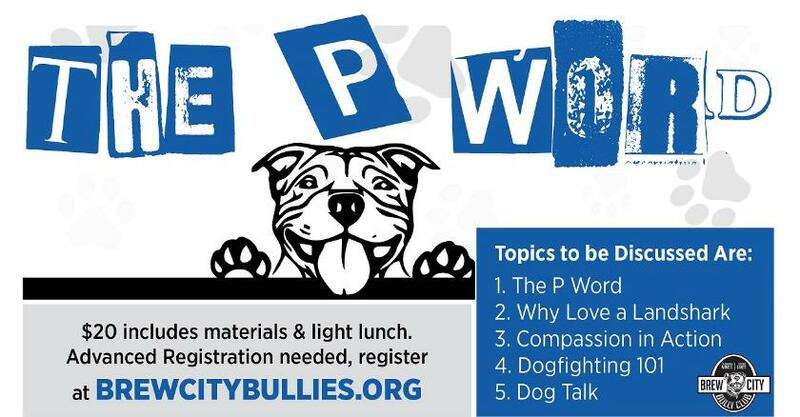 The P Word is equipping confident and knowledgeable pit bull advocates across the country! Be part of the solution! Attend The P Word seminar in your city! About the Speaker: Michelle Serocki founded the Brew City Bully Club in 2008 as a result of the discrimination and isolation she experienced as a pit bull owner. In July of 2009, her passion for ending dogfighting was born as a result of her time spent working at the largest dogfighting bust in United States history, now known as the Missouri 500. Over the last decade Michelle has specialized in working with dogfighting survivors at other busts around the country and in her own community of Milwaukee. Her love of writing and public speaking fuels her dedication to advocate for these widely misunderstood creatures. Keep checking back to see if your city is on the list! Don't see your city? Want to bring The P Word to YOU? Contact info@brewcitybullies.org to learn how! Why is there a need for a seminar about pit bull type dogs? Aren’t all dogs’ individuals? Aren’t dogs just dogs? The P Word isn’t only about the dogs we know or identify as “pit bulls”. It’s about the controversy, fear and emotion that is conjured up by muttering those 2 simple words. When someone says “akita” what happens? When someone says “german shepherd”, “doberman pincher”, “rottweiler” or “chow” what happens? All these breeds and several others are on various lists for dangerous dogs. But for some reason the only one that people talk about are the “pit bulls”. They’re the only ones that make the headlines. The only ones overwhelming shelters nationwide. The only ones being completely banned in cities and towns throughout the country and around the world. The P Word is about bringing on continued positive change for BOTH pit bull type dogs and the communities they live in. Advocates have made great progress in the last 10 years using non-emotional, knowledgeable, and compassionate advocacy strategies. The only way pit bull type dogs can truly be looked at as individuals, as a just another dog, and not be subject to mass discrimination is through education.